The pHoundation of pHountain is our special water. After hundreds of hours of research, we believe we have the cleanest, safest and healthiest water we can offer to our customers. Our proprietary alkaline water filtration system removes chemicals, heavy metals, detergents, pharmaceuticals, and even things like Chromium VI (Hexavalent Chromium) and Flouride. Then our water is mineralized with Coral Calcium and a special mineral that replicates the best alkaline spring waters found in nature. The pHountain of Life Starts with the Best Water. The water is directed through a Cutting-edge Multi-Stage Bacteriostatic Redox Reaction Catalytic whole house water filtration system designed to remove and Reduce 278+ Contaminants, Chlorine, Chemicals, Heavy Metals and VOC’s without Salt and Maintenance. The pHountain pHresh Water System effectively removes over 278 potential health effecting chemicals, contaminants, toxins, poisons, heavy metals, and volatile organic compounds. Besides the fact that pHountain pHresh is clean and safe from over 278+ toxins and contaminants, every pHountain store then boosts this pristine water with Molecular Hydrogen. 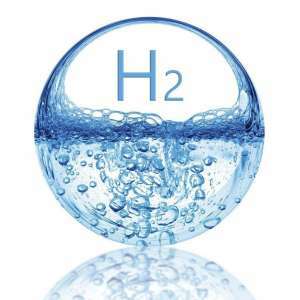 The prominent and therapeutic effects of molecular hydrogen (H2 gas) are emerging to the forefront of scientific research. Humans are continuously fighting the battle against cardiovascular disease, Parkinson’s disease, Alzheimer’s disease, dementia, diabetes, osteoporosis, chronic inflammation, hypertension, hyperlipidemia and many more. Since that review article, over 600 additional articles have been published substantiating that declaration. Currently, about 150 different disease models have been studied, in which molecular hydrogen appears to exert a beneficial effect (including the ones listed above).